A farmer from any part of the State can contact the Kisan Call Centre by dialing the toll free Telephone No. 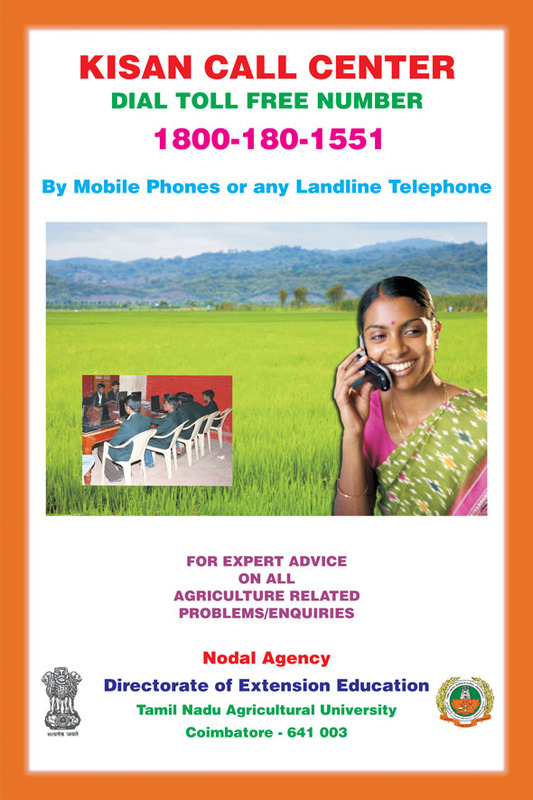 1551 or 1800-180-1551 and present their problems/queries related to farming. The operator at the Kisan Call centre will attempt to answer the problems/queries of the farmers immediately. In case the operator at the Call Centre is not able to address the farmer's query immediately, the call will be forwarded to identified agricultural specialists.